ACCRA, Dec 5 2018 (IPS) - The bamboo industry in China currently comprises up to 10 million people who make a living out of production of the grass. But while the Asian nation has significant resources of bamboo — three million hectares of plantation and three million hectares of natural forests — the continent of Africa is recorded to have an estimated three and a half million hectares of plantations, excluding conservation areas. 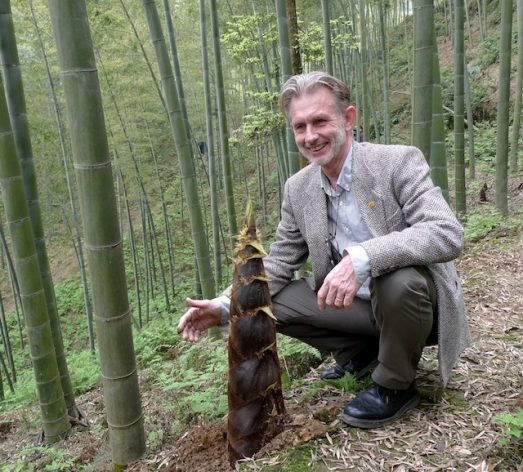 This means that there is a possibility of creating a similar size industry in Africa, according to International Network for Bamboo and Rattan (INBAR) director general Dr. Hans Friederich. “In China, where the industry is developed, we have eight to 10 million people who make a living out of bamboo. They grow bamboo, manufacture things out of bamboo and sell bamboo poles. That has given them a livelihood and a way to build a local economy to create a future for themselves and their children,” he tells IPS. INBAR is the only international organisation championing the development of environmentally sustainable bamboo and rattan. It has 44 member states — 43 of which are in the global south — with the secretariat headquarters based in China, and with regional offices in India, Ghana, Ethiopia, and Ecuador. Over the years, the multilateral development organisation has trained up to 25,000 people across the value chain – from farmers and foresters to entrepreneurs and policymakers. Inter Press Service (IPS): What has been INBAR’s Role in the South-South Cooperation agenda? Dr. Hans Friederich (DHF): In fact, a lot of our work over the last 21 years is to link our headquarters in China with our regional offices and our members around the world to help develop policies, put in place appropriate legislation and regulations to build capacity, train local people, provide information, and carry out real field research to test new approaches to manage resources in the most efficient way. I think we [have been] able to help our members more effectively and do more in the way of training and capacity building. I also hope we can develop bamboo and rattan as vehicles for sustainable development with our member countries around the world, especially in the Global South. 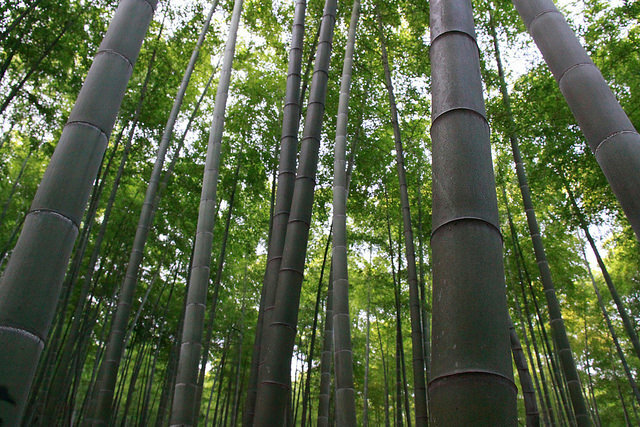 IPS: What are the prospects for Africa’s bamboo and rattan industry? DHF: The recorded statistics say that Africa has about three and half million hectares of bamboo, which excludes conservation [areas]. So, if I were to make a guess, Africa has as much bamboo as China [excluding China’s natural forests] and that means theoretically, we should have the possibility of creating an industry as large as China’s in Africa. That means an industry of 30 billion dollars per a year employing 10 million people. IPS: How is INBAR helping to develop such a huge potential in Africa? DHF: The returns we are seeing in China may not happen overnight in Africa, China has had 30 to 40 years to develop this industry. But what we are doing is working with our members in Africa to kick off the bamboo value chain to start businesses and help members make the most out of these plants. IPS: Working with countries from the global south means replication of best practices and knowledge sharing among member states. Are there any good examples worth mentioning? DHF: China is the world’s leading country when it comes to the production and management of bamboo so we have a lot to learn from China. Fortunately China has the financial resources that makes it easy to share that information and knowledge with our members …Looking at land management activities in Ghana, as an example, I think bamboo can really help in restoring lands that have been damaged through illegal mining activities. Maybe that is actually where we can learn from other African countries because we are already looking at how bamboo can help with the restoration of degraded lands in Ethiopia. Also, when we had a training workshop in Cameroon last year and we looked at architecture, we brought an architect from Peru who shared his experience of working with bamboo in Latin America, which was quite applicable to Cameroon. So we are using experience from different parts of the world to help others develop what they think is important. IPS: What is the most important thing in the development of the bamboo and rattan value chain for an African country like Ghana? DHF: There are a number of things that we can do. One area that Ghana is already working on with regards to bamboo and rattan, is furniture production. I know that there is fantastic work being done with skills development. The value chain of furniture production is an area where Ghana already has a lot to offer. But if we can improve quality, if we can make the furniture more interesting for consumers, through skills training [of artisans], then that is an area where we can really help. IPS: Which other opportunity can Ghana look at exploring in the area of Bamboo and Rattan value chain? DHF: Another area of opportunity is to use bamboo as a source of charcoal for household energy. People depend on charcoal, especially in rural areas in Ghana, but most of the charcoal comes from often illegally-cut trees. Instead of cutting trees we can simply harvest bamboo and make charcoal from this, which is a legally produced source. The great thing about Bamboo is that it re-grows the following growing season after harvesting, so it is a very sustainable source of charcoal production. IPS: What does the future look like for INBAR? DHF: Two months ago Beijing hosted the China Africa Forum and we were very, very pleased to have read that the draft programme of work actually includes the development of Africa’s bamboo industry. There is a paragraph that says China and Africa will work together to establish an African training centre. We understand this will most likely be in Ethiopia and it will happen hopefully in the coming years. Another thing is that China and Africa will work closely together to develop the bamboo and rattan industry. They will also develop specific activities on how to use bamboo for land restoration and climate change mitigation and to see how bamboo can help with livelihood development in Africa in partnership with China. This is a very exciting development, a new window of opportunity has opened for us to work together to develop bamboo and rattan in Africa.